Being involved in an automobile accident can result in a time consuming and stressful situation. 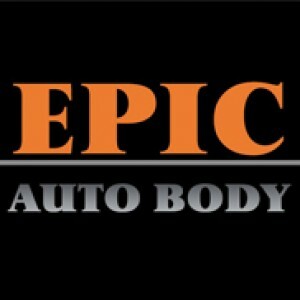 By choosing Epic Auto Body you can rest assured that we will resolve your collision repair dilemma in a timely and professional manner coupled with outstanding auto body craftsmanship. Timely Service – At Epic Auto Body we are committed to repairing your vehicle in a timely manner. We understand the inconvenience that arises from the loss of your vehicle and we will always do our best to get your car back on the road as quickly as possible. Quality Repairs – Your vehicle will always be repaired in accordance with the Highest Industry Standards. We pride ourselves on the quality of our work and back our promise to uphold the highest repair standards with a Limited Lifetime Warranty. At Invision Collision Center you do not have to worry about poor quality repairs and mismatched paint. We always do it right the first time, guaranteed! We’ll Work With Your Insurance Company – Although we refuse to participate in any Insurance Company Direct Repair Programs, we will work with all Major Insurance Companies to ensure that your vehicle repair experience flows smoothly and results in the highest quality repair possible. You have the right to choose your repair facility and no Insurance Company can dictate where you must have the vehicle repaired according to the Oregon Revised Statute (ORS). OREGON LAW PROHIBITS US FROM REQUIRING YOU TO GET REPAIRS TO YOUR VEHICLE AT A PARTICULAR MOTOR VEHICLE REPAIR SHOP. YOU HAVE THE RIGHT TO SELECT THE MOTOR VEHICLE REPAIR SHOP OF YOUR CHOICE.